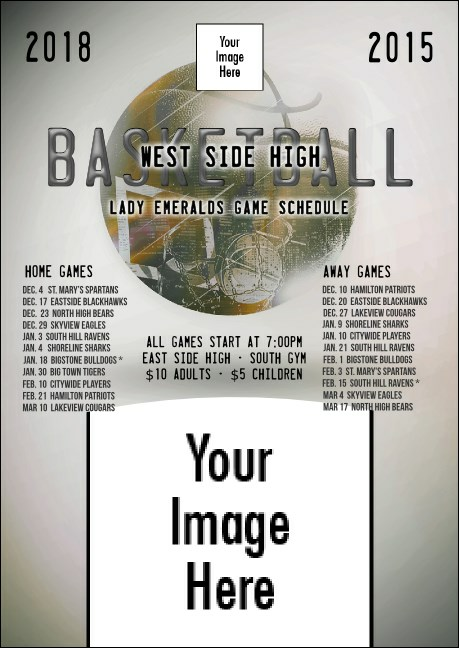 Make your mailings as powerful as your team is on the court when you send the Basketball Schedule Postcard! They'll feel like they're in the Final Four when they spy their faces and team logo on this polished template. Refine 32 lines to fit all your club info.